Dex-Starr gets +1A when attacking for each color in play besides . 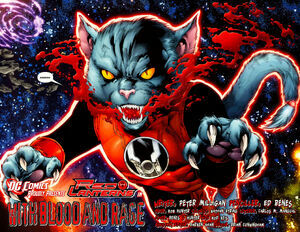 ^ Red Lanterns Vol 1 #1. DC Database Wikia. Retrieved 9 August 2015.